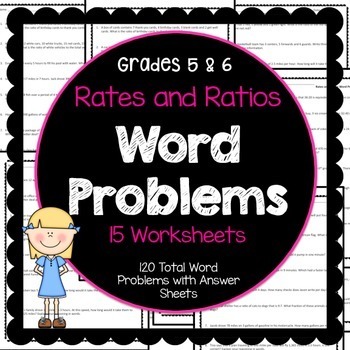 This resource has 15 worksheets of rates and ratios word problems. 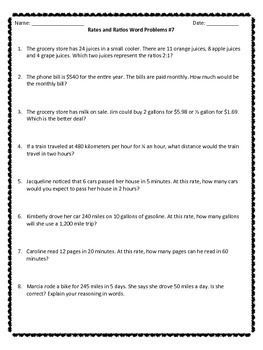 That's 120 word problems with answer sheets. All you have to do is print and go! 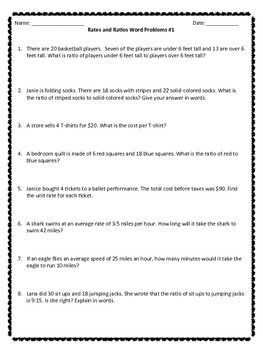 Great for math homework. 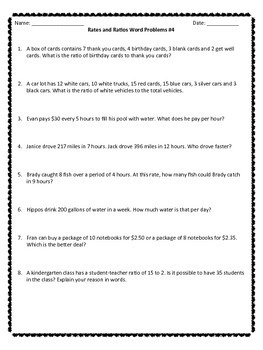 You may also be interested in Decimal Word Problems and Fraction Word Problems! Please click the green star below my store name to follow my store and learn about my upcoming sales.